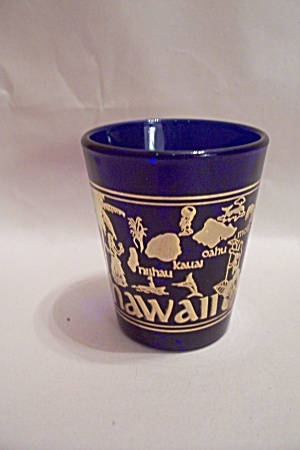 Nice collectible and useable cobalt blue and gilt decorated Hawaii souvenir toothpick holder or shot glass. Signed USA on the bottom. 2-1/4" tall. Fine condition and looks new. 1980s.